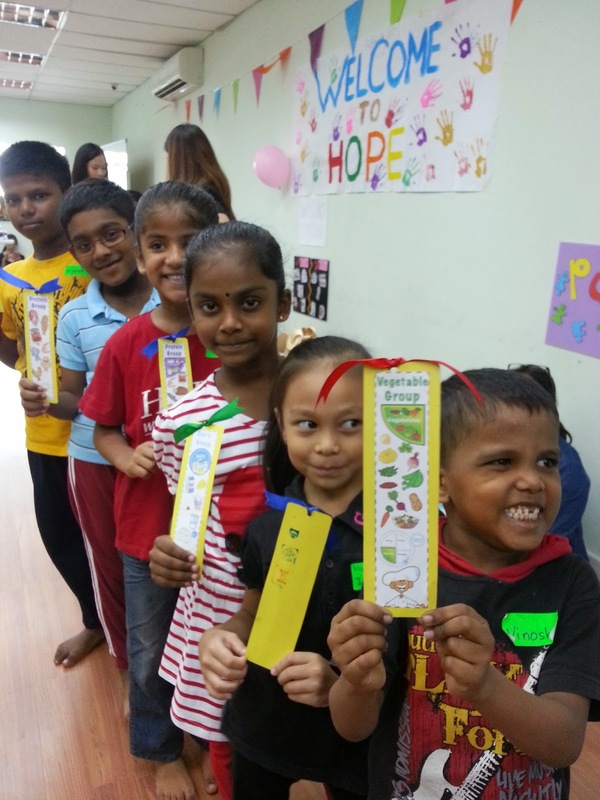 Thanks to the volunteers from Kolej Dika for the thoughtfulness in planning & organizing the workshop for the underprivileged children from age from 5 to 8 years old. The workshop was from 12pm to 4pm which was including hand cleanliness, healthy diet pyramid, and also fruit cutting. Besides, one of the highlights of the workshop was making sandwiches. 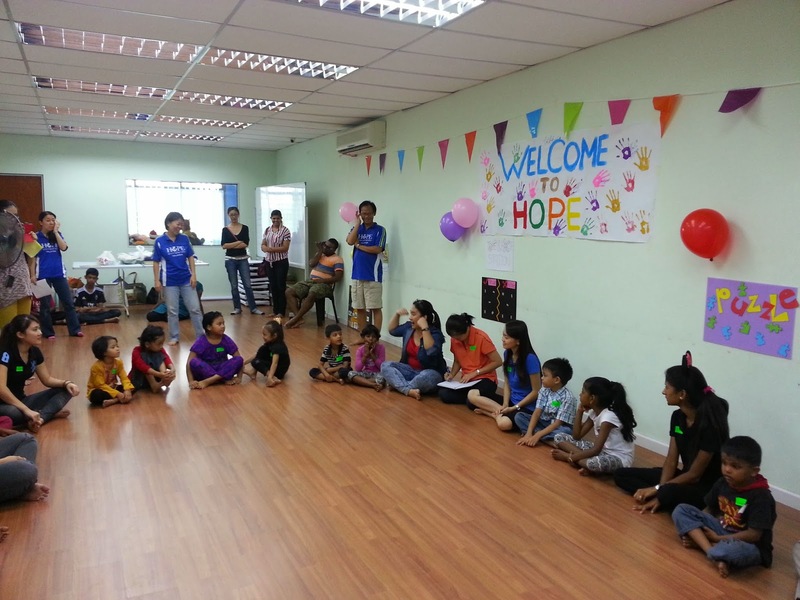 The thoughtfulness of the volunteers had brought so much love & joy to the little ones. 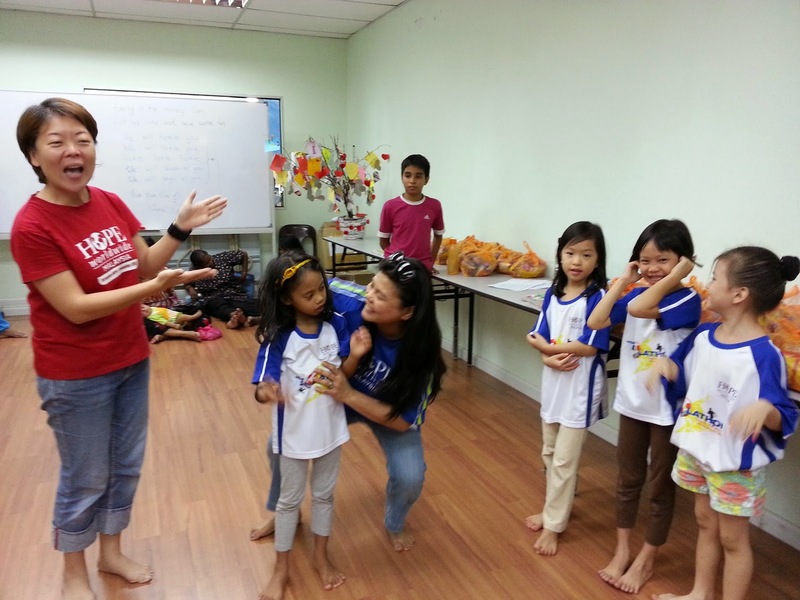 The little ones were beaming all the way during the workshop, and they enjoyed themselves so much. Thanks to all fellow volunteers from Kolej Dika for the colorful decoration which created a lively atmosphere for the workshop! 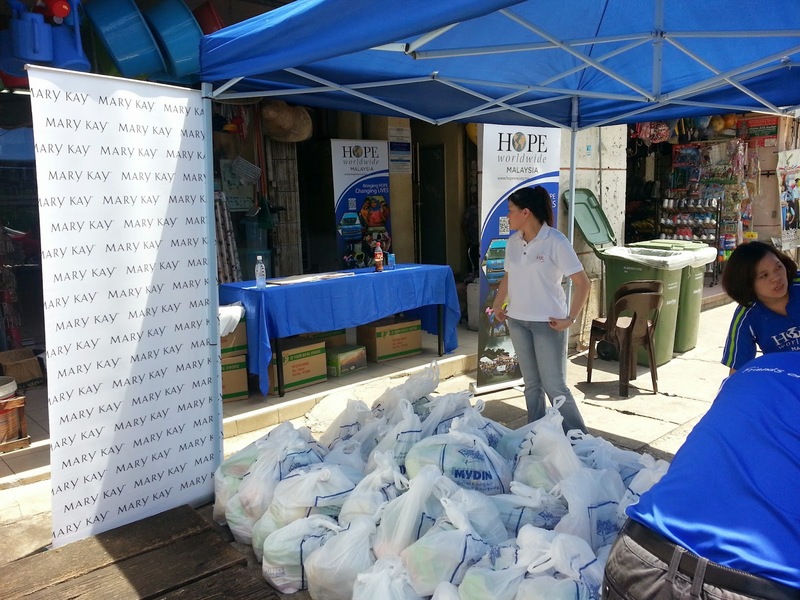 Mary Kay Malaysia reached out to 150 urban poor families at the Sentul Community through volunteering in the Food Distribution Program at the Sentul Free Clinic of HOPE. Tracing back history, when Mary Kay Ash founded her Company, she often emphasized the importance of giving back to others. Since then, Mary Kay has been changing the lives of women and children around the world. Now, it is part of the Mary Kay legacy to continue making a difference in the lives of underprivileged. Since 16 May this year, Mary Kay Malaysia has initiated “Beauty That Counts” CSR fund raising campaign through the sales of the limited edition* Beauty that CountsTM fragrance. Through this Food Distribution Program, Mary Kay aims to provide children with nutritional and balanced diet they need for good health in order for them to have the ability to learn better in school and reach their potential. “A child’s well-being, education and health are very important aspects we need to take into consideration because they are our future leaders of the world. 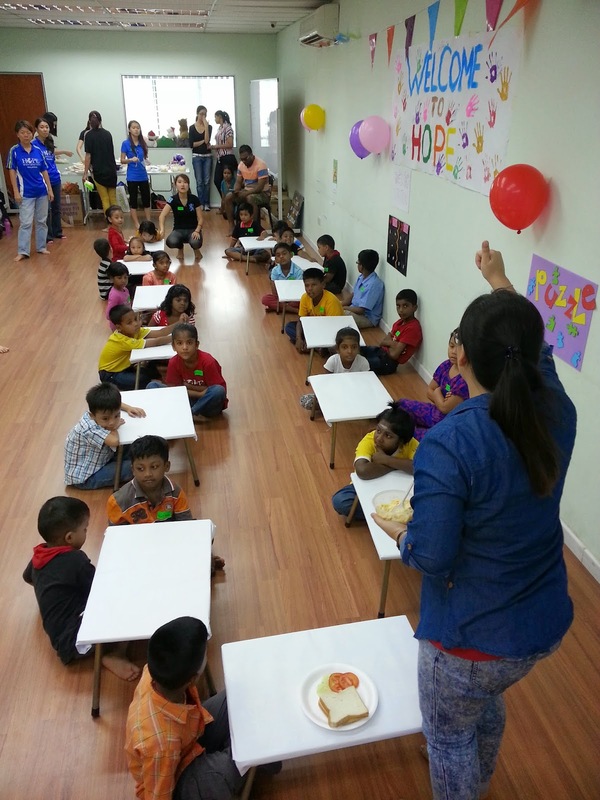 Through this Food Distribution Program, we hope to be able to give the best to the less fortunate children to have nutritional and balanced diet so they can grow up healthily” says Nasution Abdul Rahman, General Manager of Mary Kay Malaysia and Singapore. For more than 50 years Mary Kay Inc. has been committed to enriching the lives of women and children around the world. Through Mary Kay’s global cause-related marketing program, Beauty that CountsTM, consumers can help join their efforts to make a positive community impact by purchasing the limited edition* Beauty that CountsTM fragrance. Since Beauty that CountsTM began in 2008, Mary Kay has donated almost $7 million (USD) to organizations benefitting women and children globally. Giving Back could eventually became a habit, if we do it consistently. Just like how this group of Youth Students who have been consistently volunteering our series of Education Programs which including the MY Reading Program & Creative Art Program. Last Saturday, with more than 20 youth students, together we open up new chapter (new semester) for the MY Reading Program and as well for the Creative Art Program. Together, we reached out to more than 60 underprivileged children. 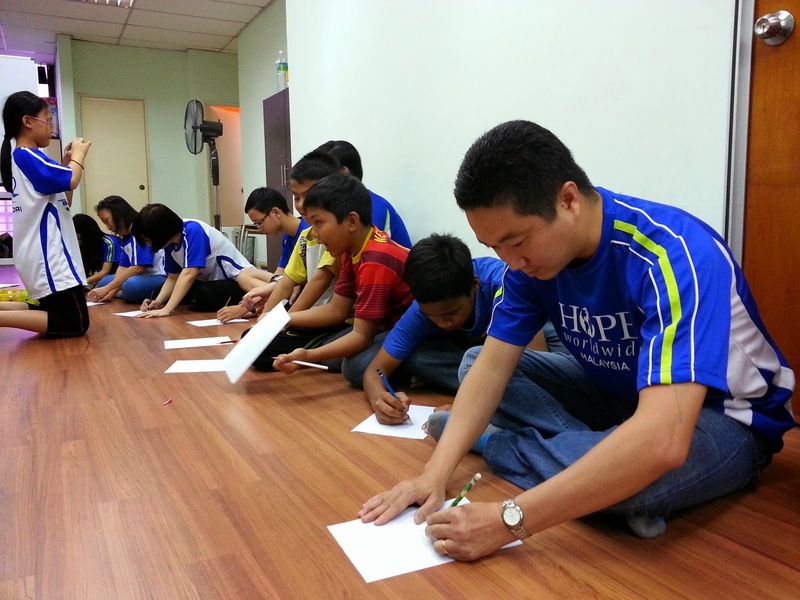 Before we the Reading Program starts, we had an Ice Breaking Games to have both the volunteers and children who are right-handed to draw their portraits by using their left hands; while for the "left-handed" ones, they need to draw by using their right hands. Once everyone is done with their drawings, we shuffle the drawings and distribute to everyone. Everyone will have a portrait of other people, so each of them need to find the person of the portrait. Once he/she found the person, he/she needs to find out the person's name & hobbies. 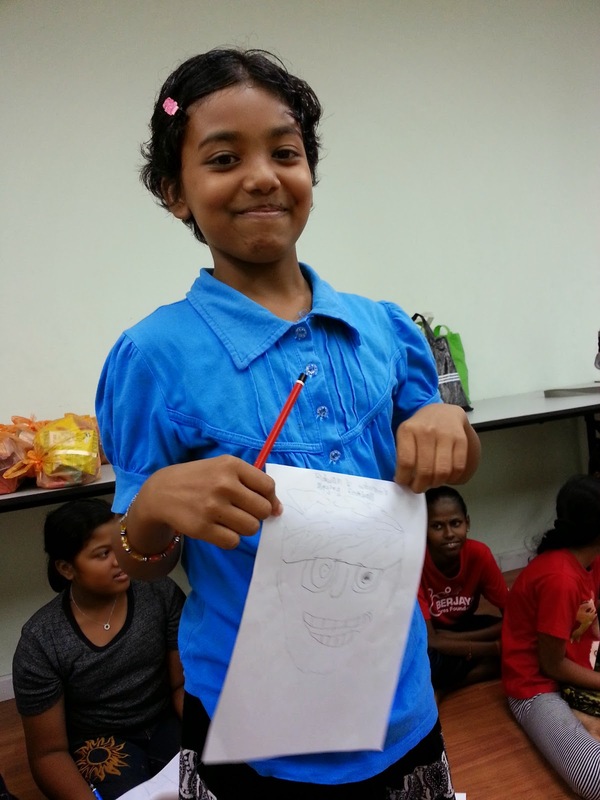 At the end, we had both the volunteers and children to share whose portrait they had got. 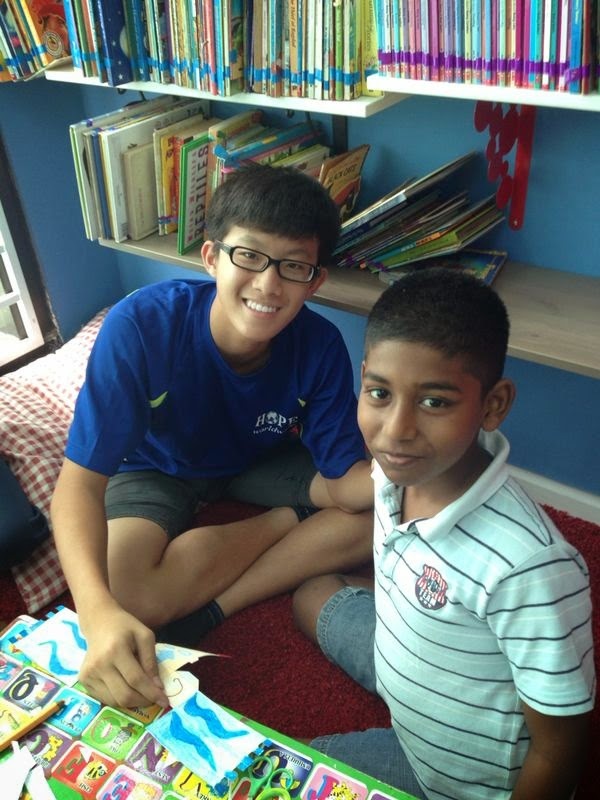 After that, both the volunteers and children had great time reading together. The program ends by having a Birthday Celebration for one of our young volunteers on that day - Amelia! Amelia turned 7 this year! Indeed, Amelia's parents celebrated her 6 year-old Birthday last year during the Reading Program too: http://bit.ly/1kLaNGo This year, Amelia spent all her Pocket Money to buy presents for each and every child in the Reading Program. It was a fruitful & memorable day, and thanks to all fellow Youth students for your great heart and love for the children. Hope to see you guys again soon! 10 volunteers including a Pediatrician, a Medical Assistant and students, decided to spend their precious Sunday morning differently. 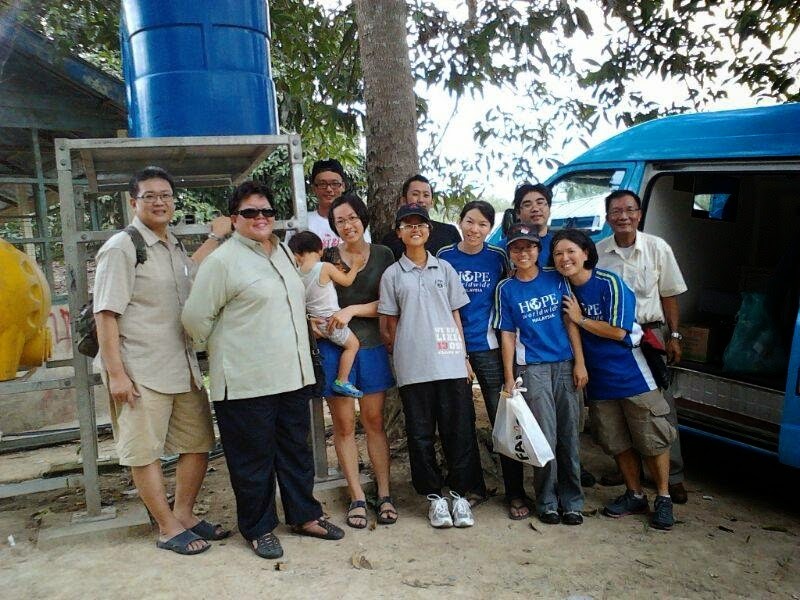 We made a three hours trip to the Orang Asli (Aborigines) Settlement located at Kg. Bukit Sapi to visit the Semang, which is a tribe of the Orang Asli named "Negrito". 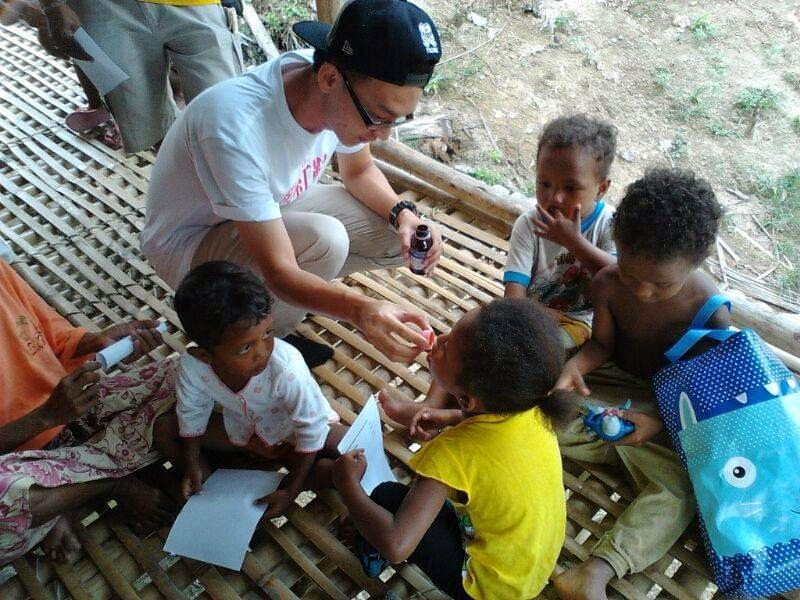 Total of 37 patient received free medical consultation and medicine. The quaterly outreach aims to help improve the living quality and encourage them by showing care and love to our native friends. We also distributed groceries, food supplements, clothing, school shoes and toys which donated by many kind individuals. 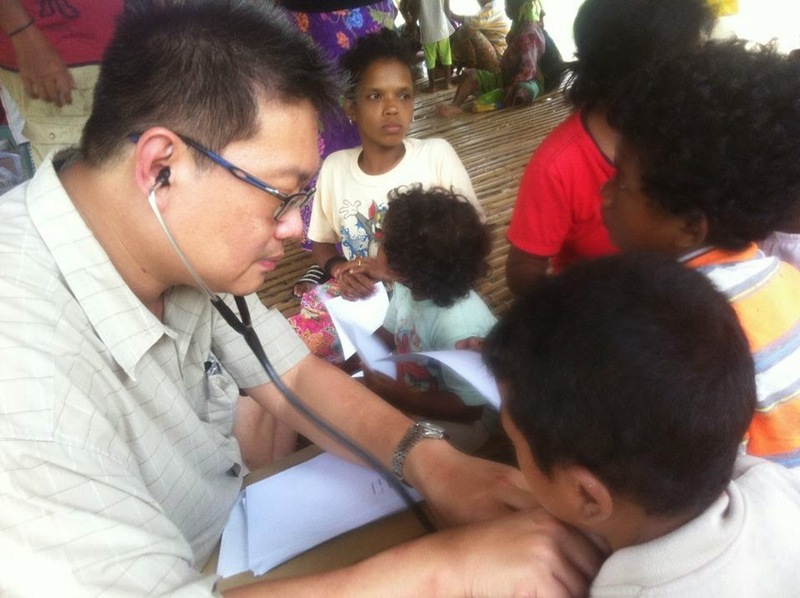 Thanks to Dr. Victor Gong, our Pediatrician and all fellow volunteers, with your undying heart and spirit to serve and reach out to the unreachable community inside the jungle, your act of love made a huge difference in their lives.